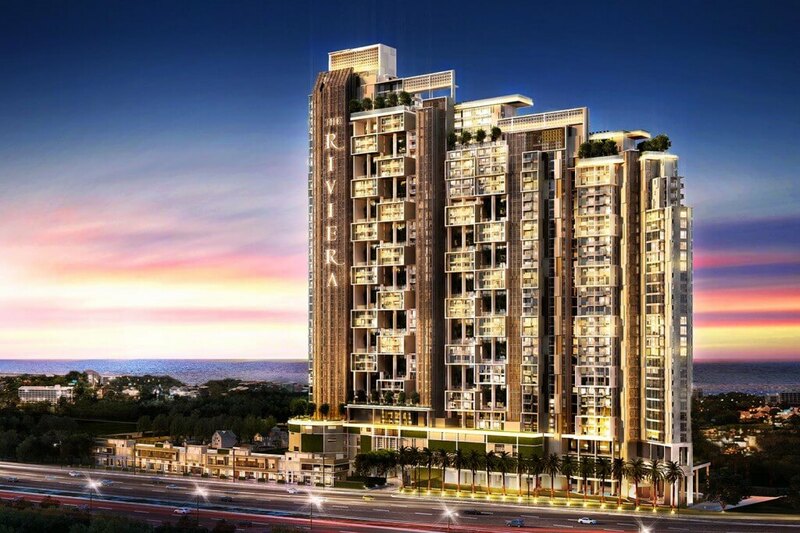 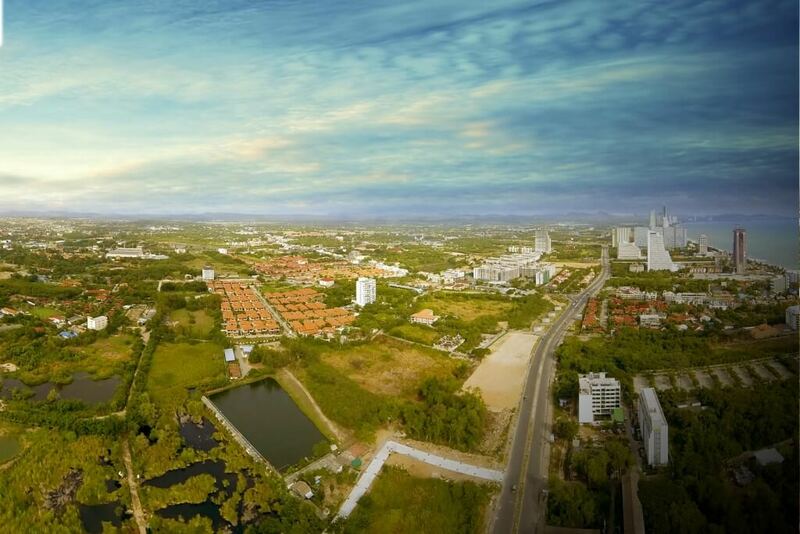 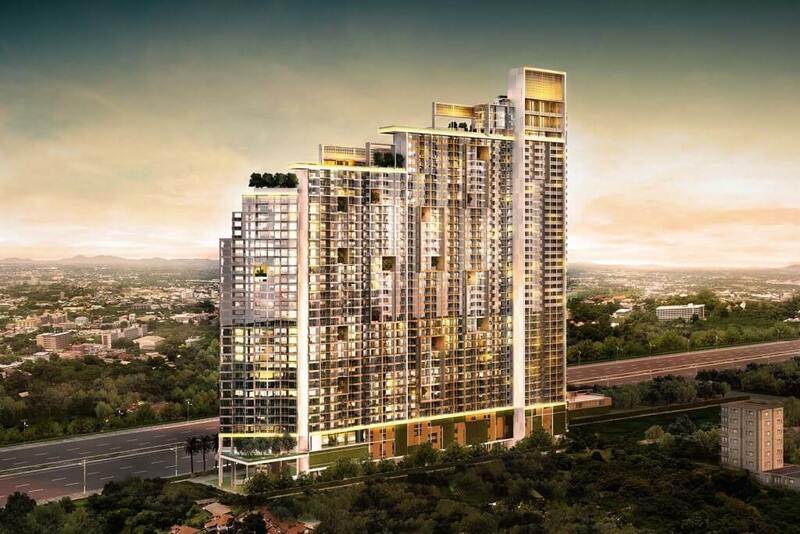 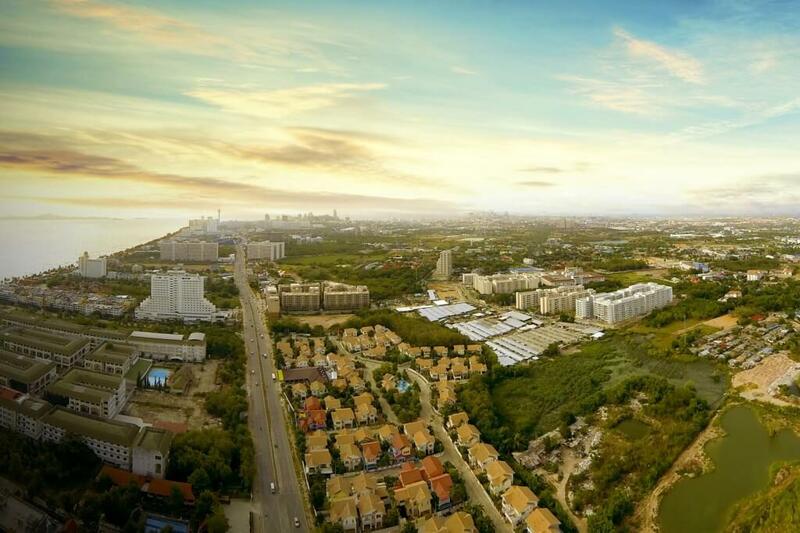 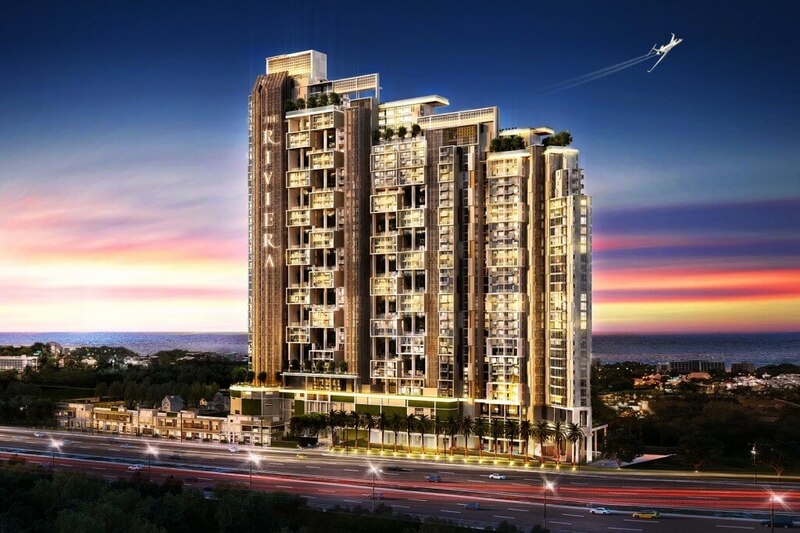 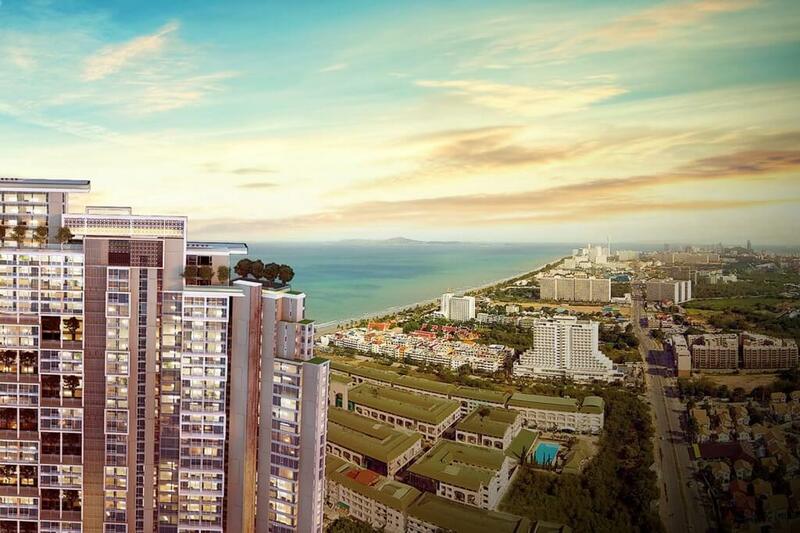 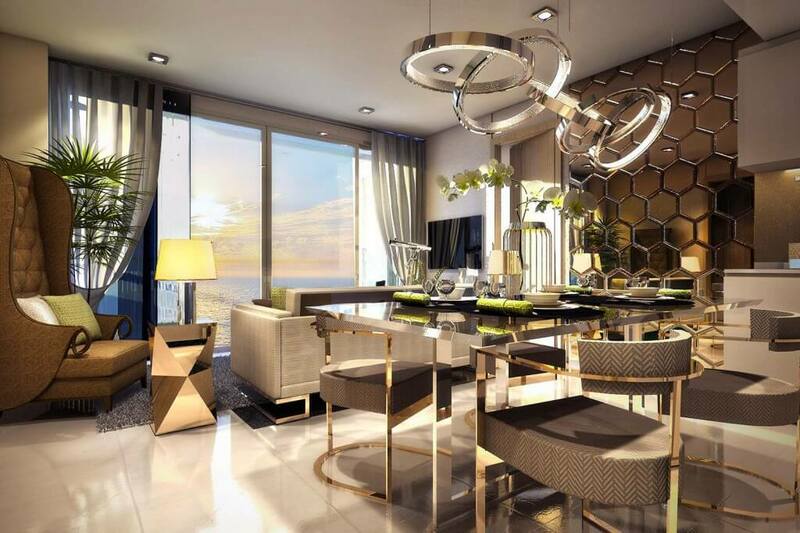 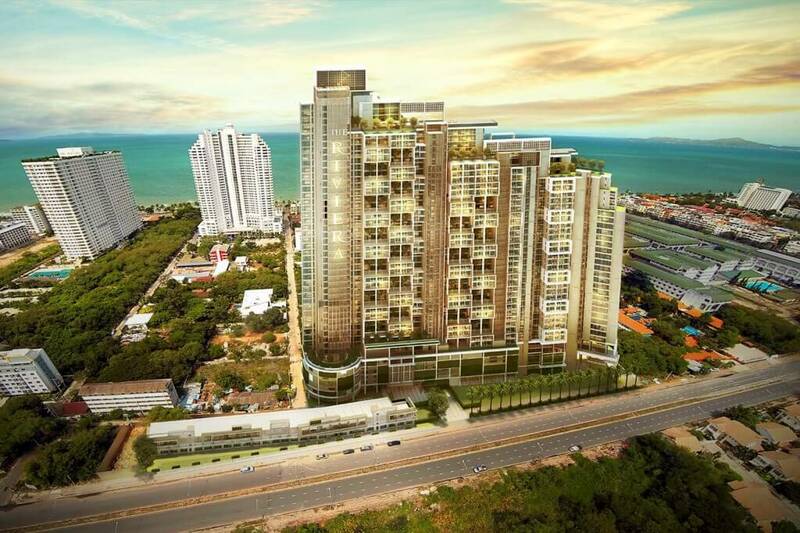 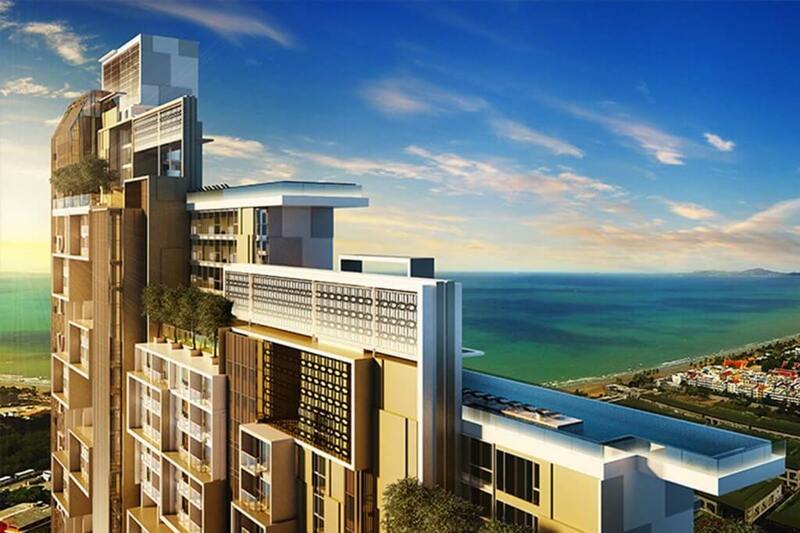 Although the project’s location may be very different from the developer’s first project, being located in the Jomtien area to the south of the city centre, all of the other elements that made Riviera Wongamat such a stunning success are present in the new project. 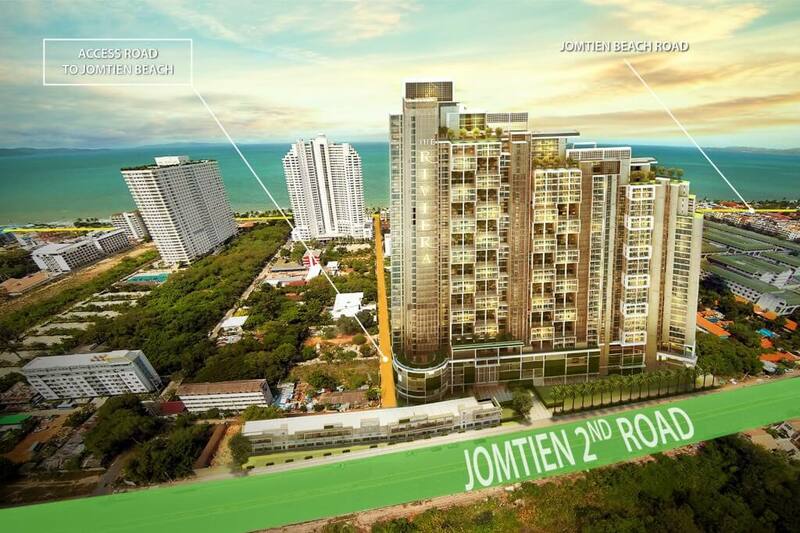 In terms of location. 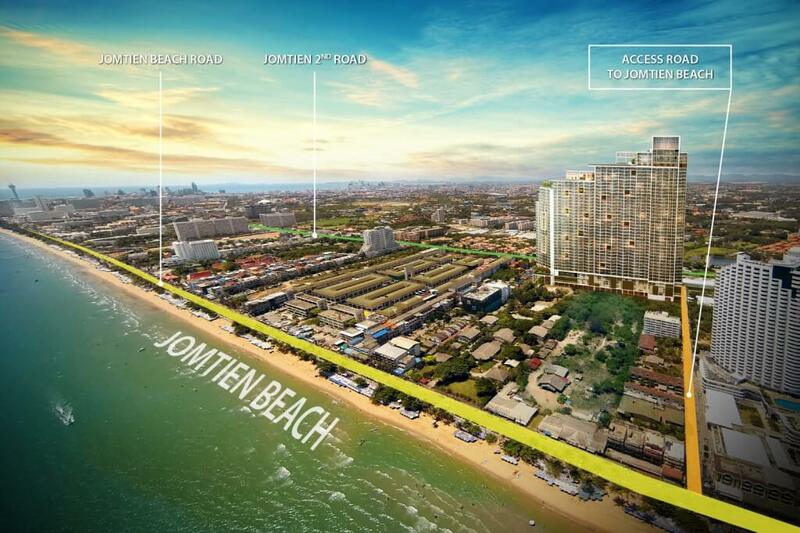 Riviera Jomtien is located on Jomtien Second Road just 400m from the beach, which can be reached in just two minutes due to the fact that there is a private road leading directly from the project to the beach. 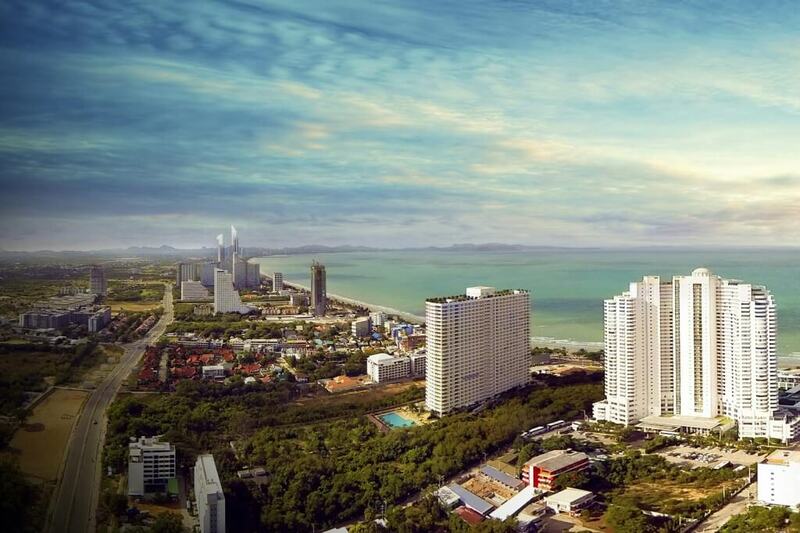 This close proximity, plus the fact that there are no other high-rise buildings directly between Riviera Jomtien and the beach means that there are excellent sea views from nearly all of the front-facing units on the development. 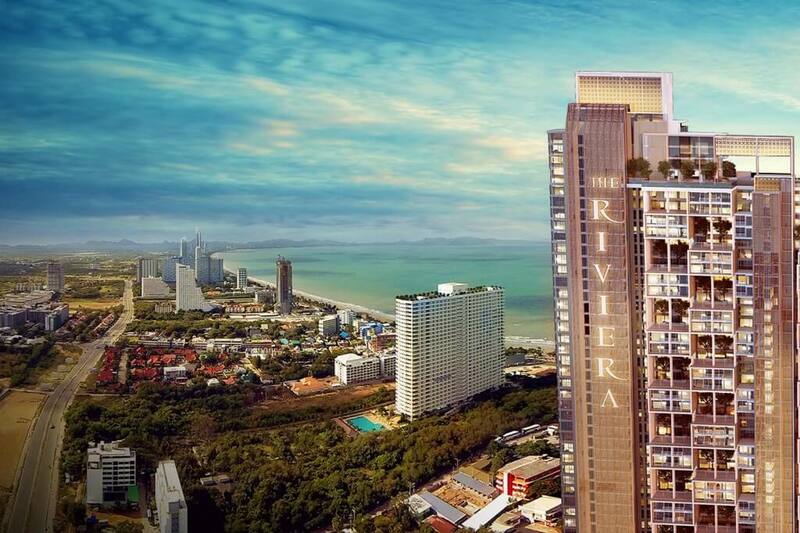 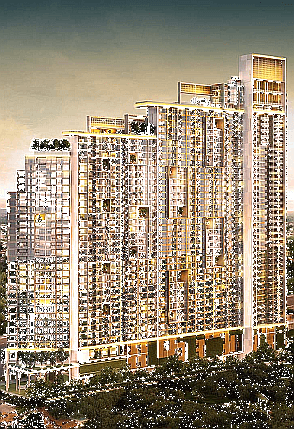 Standing 46-storeys tall, Riviera Jomtien will be the tallest building in this part of the city and, containing 1,049 apartments, it will also be the largest high-rise in the area. 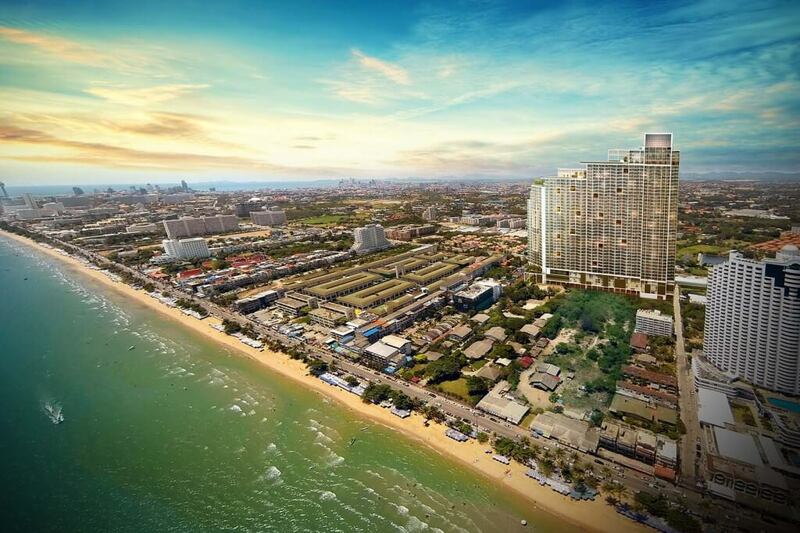 Riviera Jomtien also matches the original in terms of facilities as you will find more amenities here than you can find at a five-star hotel, including vast. 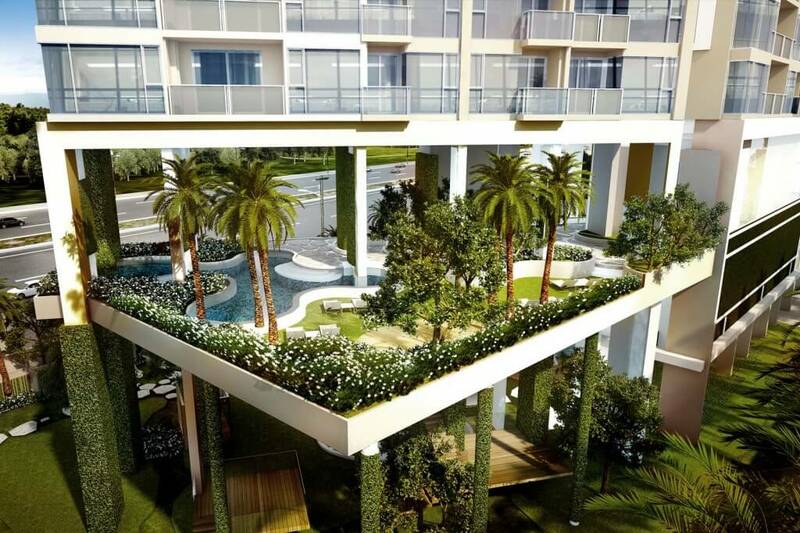 multi-level pools, a podium play area, a jungle bamboo forest and peaceful relaxation garden areas spread among the floors. 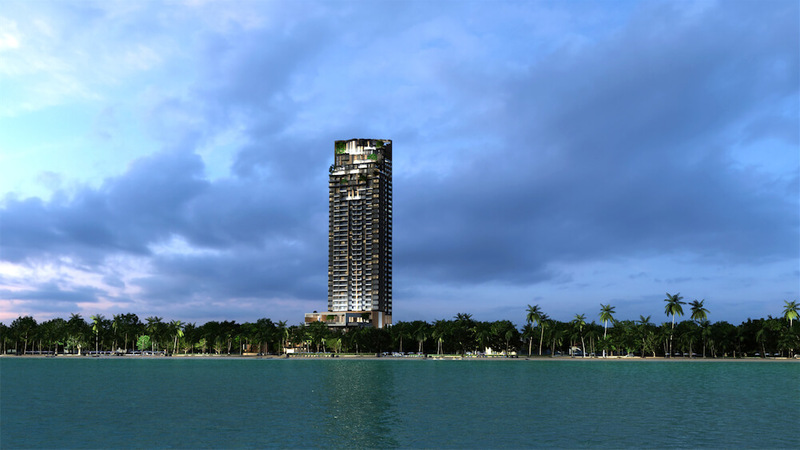 The entire 42nd floor is dedicated to leisure and recreation. 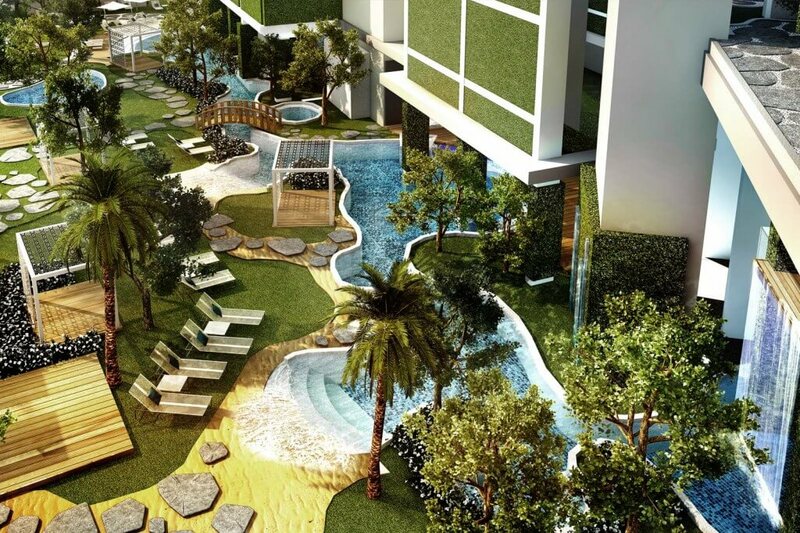 Here can be found the project’s sky lounge, which features a sunset terrace, gym, gardens, jacuzzis, barbecue area, quiet zones and salas. 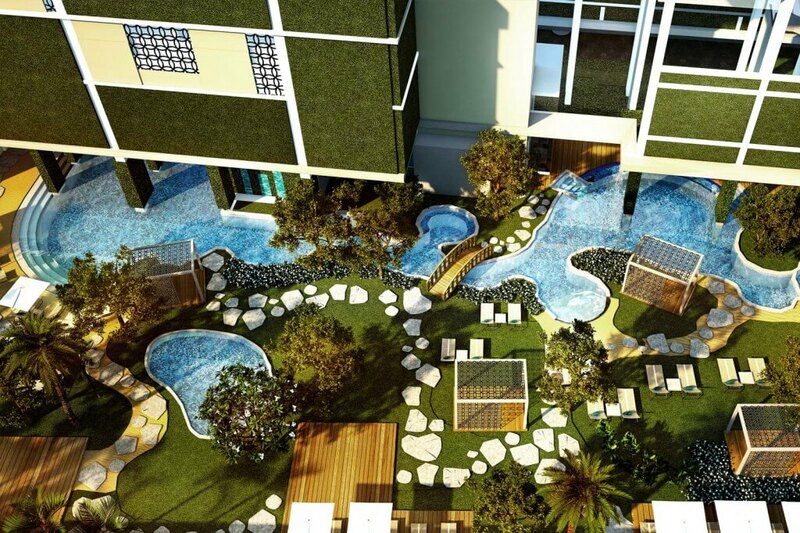 A shopping arcade is attached to the project for owners’ convenience. 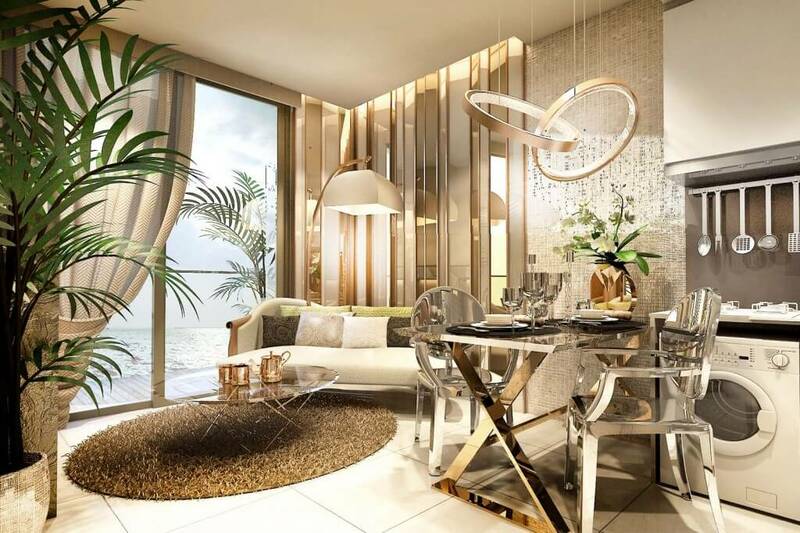 The final element which sets Riviera Jomtien apart from most of its competitors is the quality of the finishing and furnishings of the project. 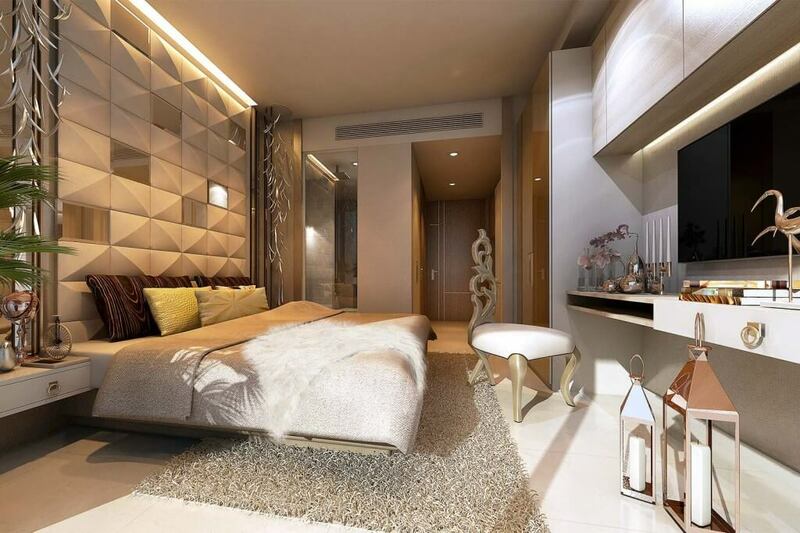 Only a trip to the project’s on-site Sales Gallery to see the high standards of the show apartments there can give potential buyers an idea as to the luxurious standards to which all of the apartments in the project will be delivered. 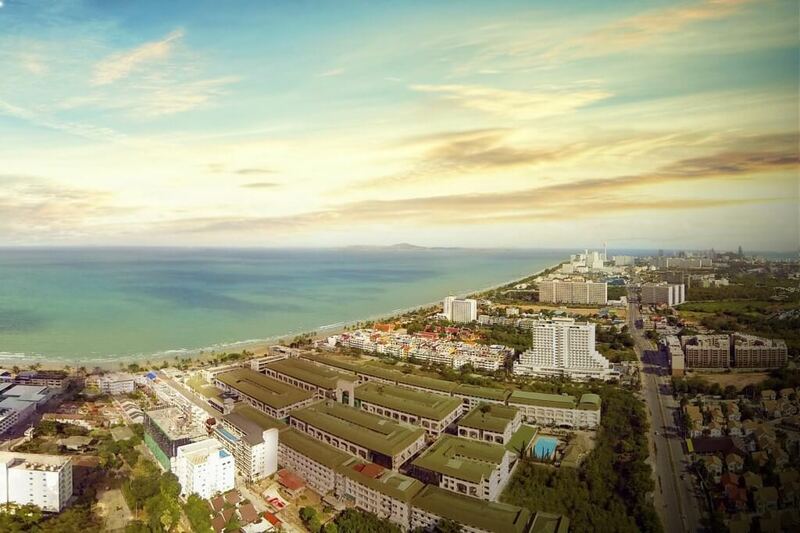 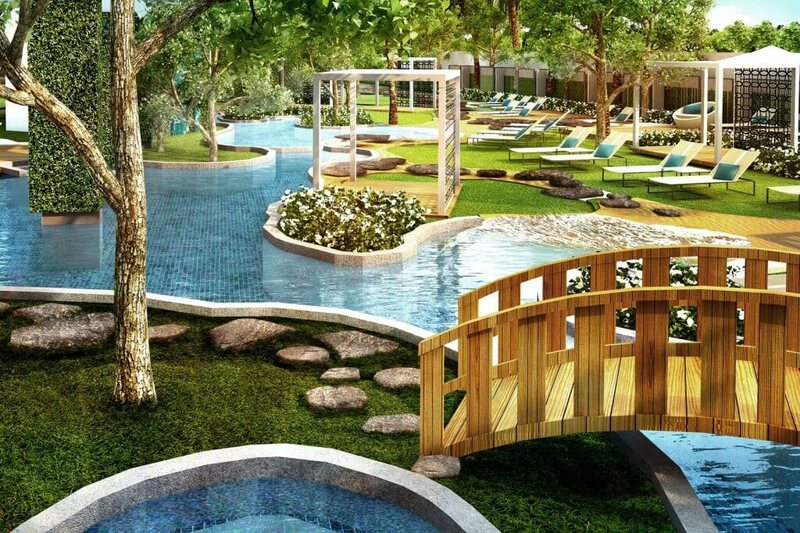 Apartment sizes at Riviera Jomtien range from studios of 23 to 33m2, through one-bedroom apartments of 34.7 to 48.7m2 up to two-bedroom/two-bathroom apartments of 76.6 to 85.8m2. 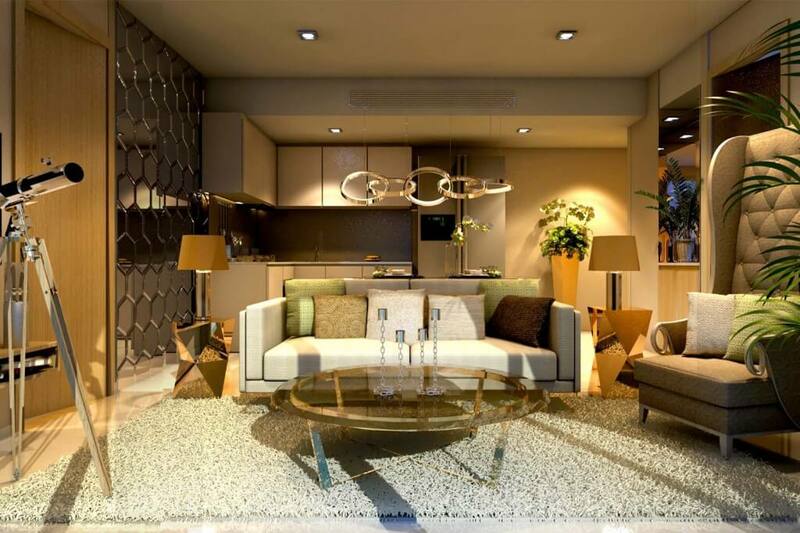 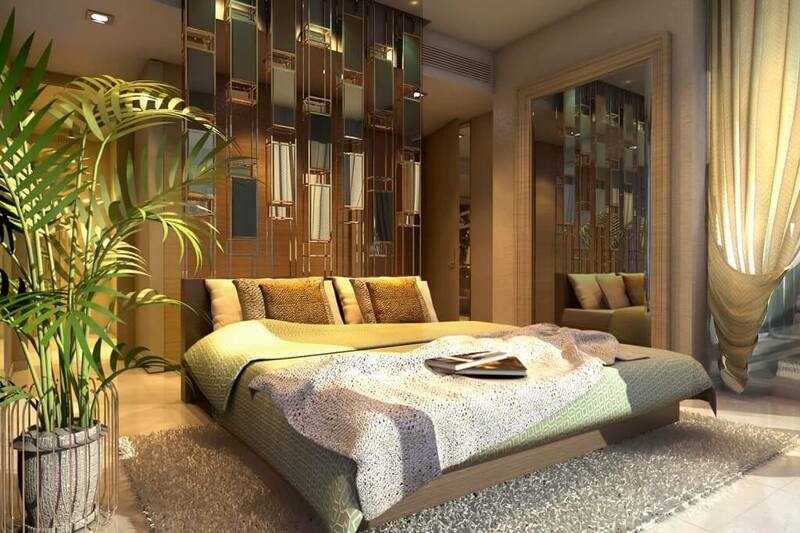 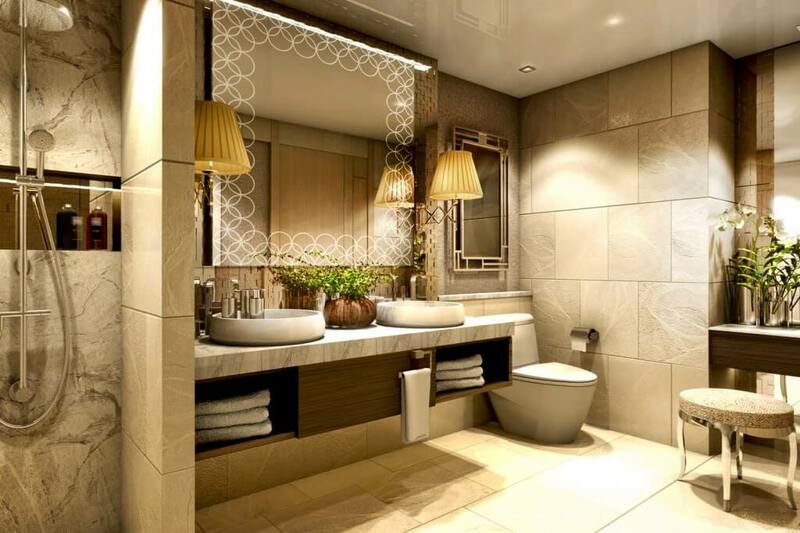 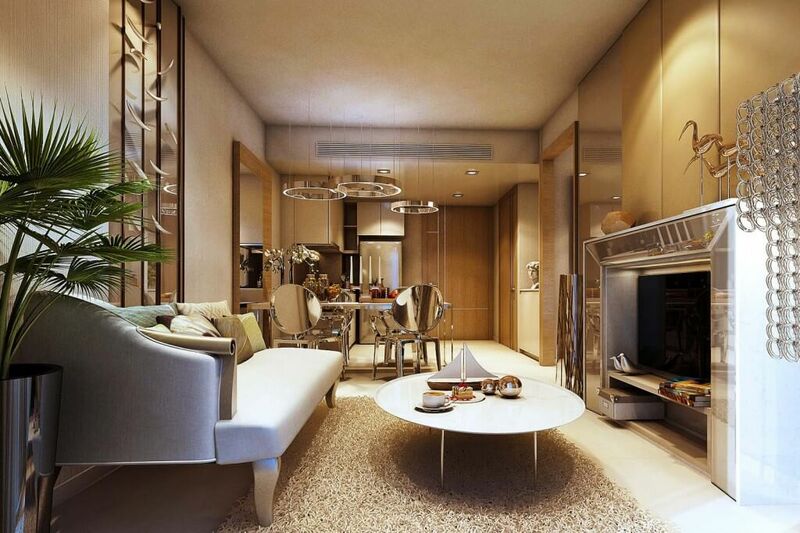 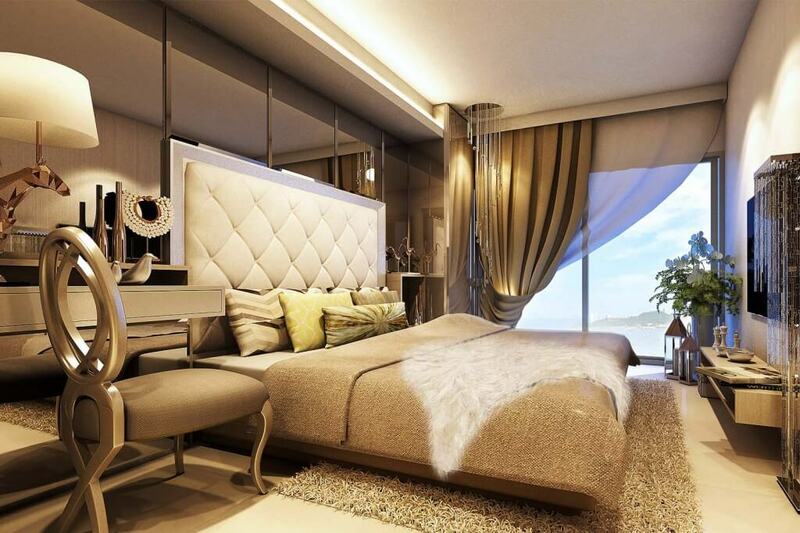 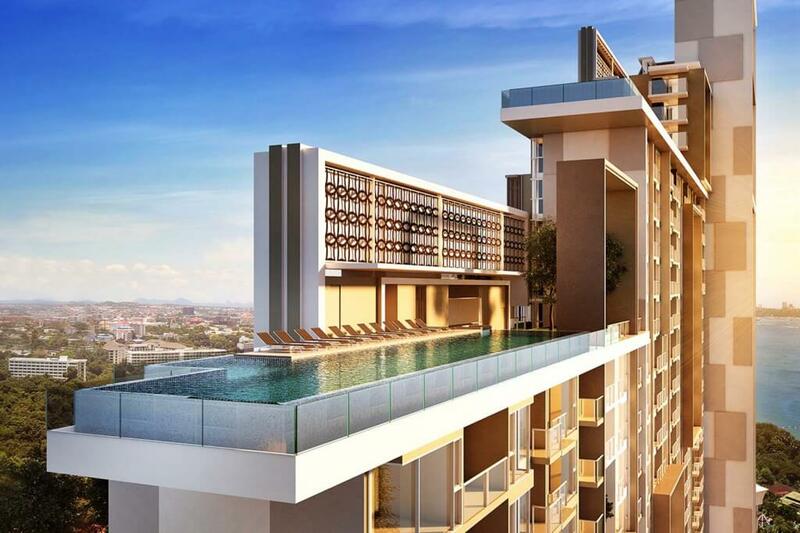 However, the modular design of Riviera Jomtien enables buyers who are looking for larger-sized two or three-bedroom apartments to combine adjacent units to create some completely bespoke options.